Wow! There’s been some amazing stuff shared around here! I’m excited to be able to share my idea here today! Hi! 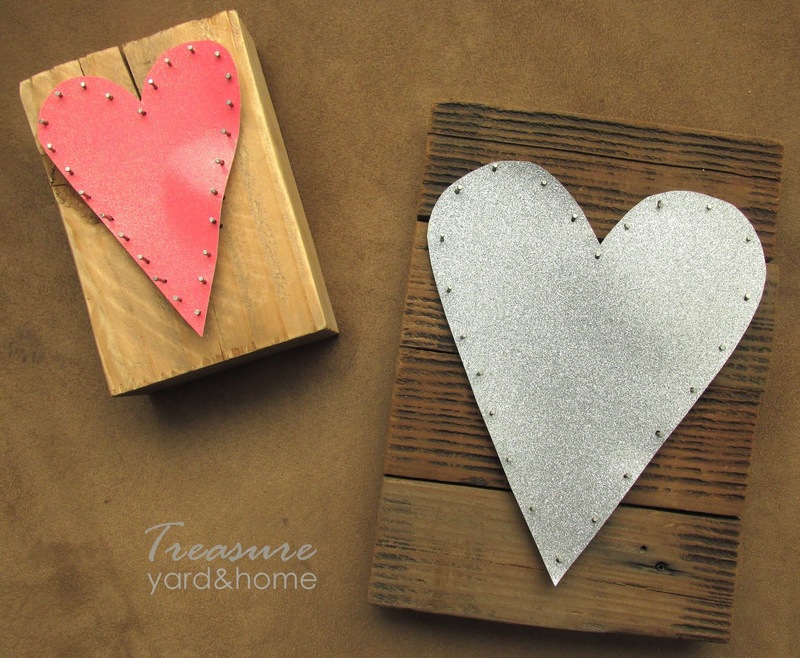 I’m Ammanda and I blog over at Treasure Yard. I’m also Mommy to 5 kids under 11, so almost any project I take on (that’s not a necessity) has to be quick and either cute and/or clever enough to be worth the time spent on it. The project I’m sharing with you today fits the bill. It’s cute, and, if you have the supplies already, it can be done in less than a half hour. So, let’s get to it! 2. Decide on your “design” and pick your nails and paper:*1.5. At this point you can do a few different things. You can paint it, stain it, seal it….or leave it plain. I chose to leave it plain. 6. Then, take a knife or long nail or pair of tweezers or something relatively flat and carefully slide it underneath the paper and inch that paper up the nails. Do it a little at a time, working your way all around the edge, to avoid tearing.5.2. So, if you’re not a precision nailer, you’re not alone. (obviously) 🙂 No worries, just tap them as straight as you can get them, being careful not to tear your paper. The options with this are almost endless. Change the wood, shape, nails, finish, paper. Next Post: Heart of Hearts Coloring Page or Printable!